Wouldn’t it be great if you could make yourself different to all the other students that are going for the same job as you? Make your target employer aware you’re looking for a job? Make your skills and experience even more attractive to potential employers? How can this be done? Well, the answer lies in building your personal brand. When we think of brands companies like Nike, Apple and Starbucks come to mind. These huge corporations build brands to obtain certain benefits. To make themselves different, to raise brand awareness, the attract customers and charge premium prices to name a few. Can you see some parallels between your objectives and a brand? 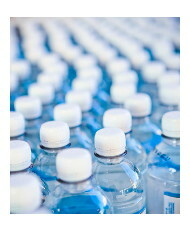 The next time you’re in the supermarket look at the row jammed packed with bottled water. Water is a commodity but the good branding folk at Evian get you thinking about ‘youth’ whilst at Volvic they’re all about ‘volcanicity’ and volcanic energy. It’s water. Yes there may be some subtle taste differences but for the most part water is a very standardised product that has, via branding, being differentiated (oh and priced at a premium too). Humans are not standardised. They’re all wonderfully unique. If you can brand water you can brand people. No question about that. Just look at Richard Branson, Barrack Obama and David Beckham. They all have very strong personal brands. In the left column note down about five words you would use to describe yourself. Don’t rush. Take your time. This is important. Are you caring, creative, competitive, bold, daring, analytical, meticulous, adventurous, inquisitive? Branding folk call these types of words ‘brand values’. Nike, Apple and Starbucks all have brand values. They lie at the heart of all great brands and provide the foundation for all their brand building activities. Think about your target employer and conduct some research on how they describe themselves. You’ll be able to find this on company websites under their ‘values’. Write down their values in the right hand column of your table. Now here’s the crunch. Do at least three of the five words you’ve noted in the left column vaguely resemble words in the right hand column? If they do you’re in a good place because values inform beliefs and beliefs inform behaviour. If your values are aligned with your target employer there’s a good chance you’re going to behave in a way that fits with their culture. You’ll probably connect. Good times. If the words you’ve used to describe yourself and your target employer don’t vaguely resemble each other then you need to think about the accuracy of the words you’ve chosen to describe yourself OR think about how much you really want to work at that company. You need to be brutally honest with yourself at this stage. It’s very important. Seek advice from a careers consultant if you’re struggling. Or some objective friends. If your values don’t fit with your target employer it’s going to be an uphill battle. You may get to interview based on your great CV or insightful personal blog but during the interview the chemistry won’t be right. You’ll behave in a way that doesn’t fit with their culture because your values are different. Even if you do manage to get through the interview it’s doubtful you’ll enjoy working there. You’ll struggle to relate to people whose values fit with the business. Thinking about your values and how they converge with those of your target employer is crucial. So, you feel your values and those of your target employer fit. Great. Next you can actually start building your brand. You do this by making the words you have used to describe yourself happen (“bring your values to life”….to use the brand marketing lingo). This is achieved through design, communications and behaviour to name a few. If you’re “creative” and one of your target employer’s values is “creativity” you need to make sure your social media channels ooze with creativity. You need to communicate in a creative and engaging way. You need to demonstrate how you’ve behaved in creative ways during previous placements or jobs by solving problems in unique ways etc. It’s important you get this right. If your target employer thinks creativity is important (one of their values) your brand screaming ‘creativity’ will resonate with them when they experience your brand. They’ll identify with you because they’ll have values that are akin to creativity. This increases the chance of them wanting to know more and this could, just could, get you through the door. Tags: Job search. Bookmark the permalink. excellent information. i bookmarked it for future reference. thanks a lot!